Electro magnetic suspension separators are supplied for deep depth up to 700 mm depth and manufactured with Copper and Aluminium insulated conductor. Protects machines such as crushers, shredders, hammers etc. Suitable for foundry, coal mines, cement work, food, chemical industries, domestic waste cycling plants, material processing etc. 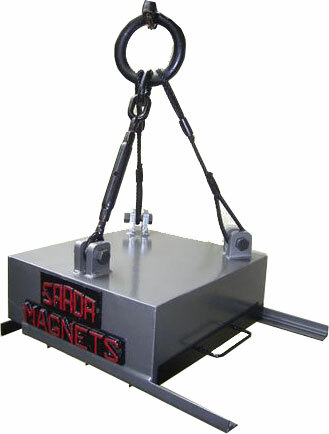 Suspension magnets are installed over conveyors where tramp iron contamination is occasional and needs manual cleaning.